Carving it up at Jack Frost Mountain in the Poconos Rhys A. As Colorado and other western states bask in the glory of snow-filled powder days on the slopes, the eastern states sit by watching, waiting patiently for our turn to play. El Niño has blessed the East Coast with unseasonably warm November and December temperatures, which is great for all outdoor activities...except for skiing and snowboarding. Now's the time to prep for that first big storm, whether you're waiting patiently or doing a snow dance in your living room. So whether you plan to make a day trip or a weekend out of it, make sure you hit one of these five Poconos ski mountains when the flakes (hopefully) begin to accumulate. 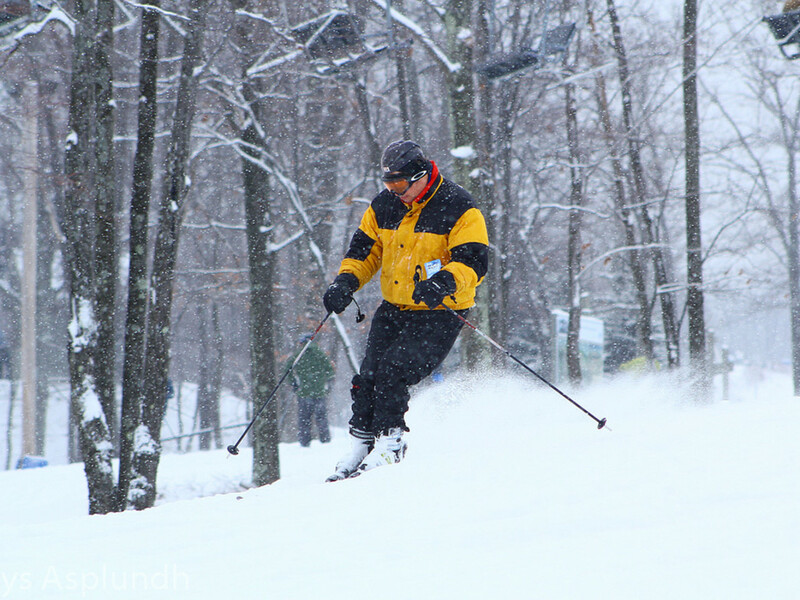 Blue Mountain , located in Palmerton, PA, boasts a 1,082-foot vertical drop from summit to base—the highest of any ski mountain in Pennsylvania. 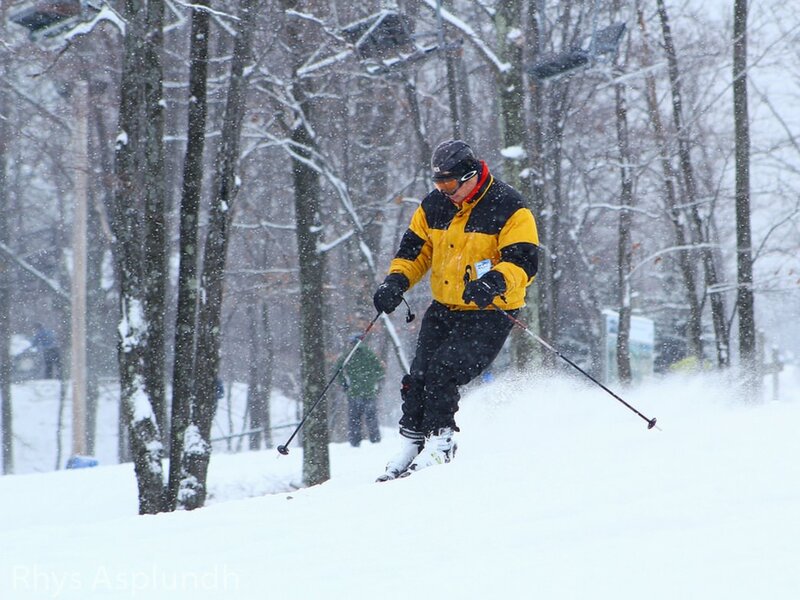 Only 90 minutes from Philadelphia, Blue Mountain is definitely the best all-around ski mountain in the Poconos. The location is close enough for a day trip, plus they offer half-day passes and night skiing to boot. With 39 trails of all levels of difficulty and 16 lifts, including a high-speed 6-person lift, this mountain is a go-to for any level of skier or snowboarder. Be sure to hit the blue square trail "Sidewinder," which is a fan favorite on the mountain. Take a rest in the Slopeside Pub and Grill, to enjoy a variety of food and drink including delicious chili and craft beers. Located in Union Dale, PA, Elk Mountain is a bit further north from Philly than most Pocono mountains, so it's the perfect place to visit during a weekend getaway. Rent a house with friends, grab some firewood, and hunker down for a weekend full of wintertime fun. Though Elk is not PA's largest mountain, it makes up for its lack of size with authentic charm. With old school lifts and lazy trails that wind through the woods, Elk offers a down home feel without the crowds of the mountains to the south. Got a large group with all different levels of skiing and riding experience? Then Camelback is the place for you. 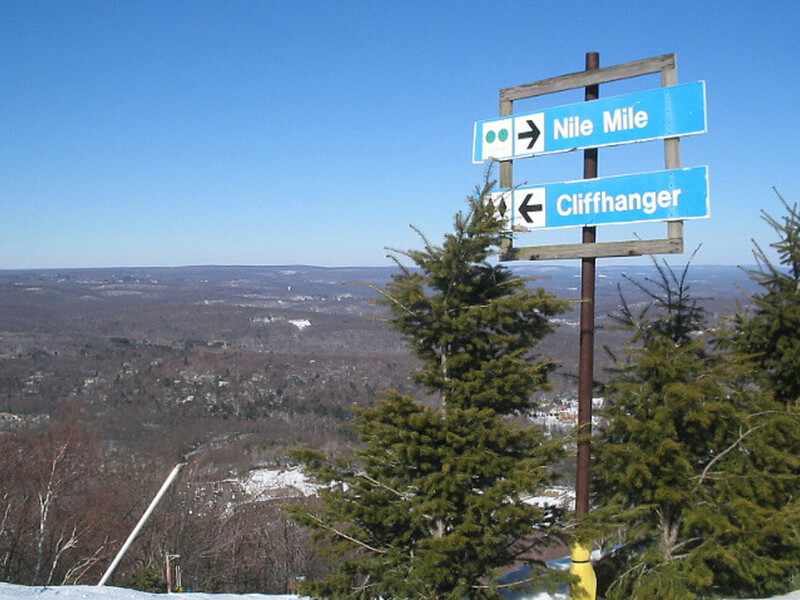 This mountain, located in Tannersville, PA, has a huge team of instructors ready to give lessons to kids of all ages looking to learn to ski or ride. Of course, there are always folks who'd rather not learn at all, so they can rent a tube and head to the country's largest snow tubing park, also located at Camelback. 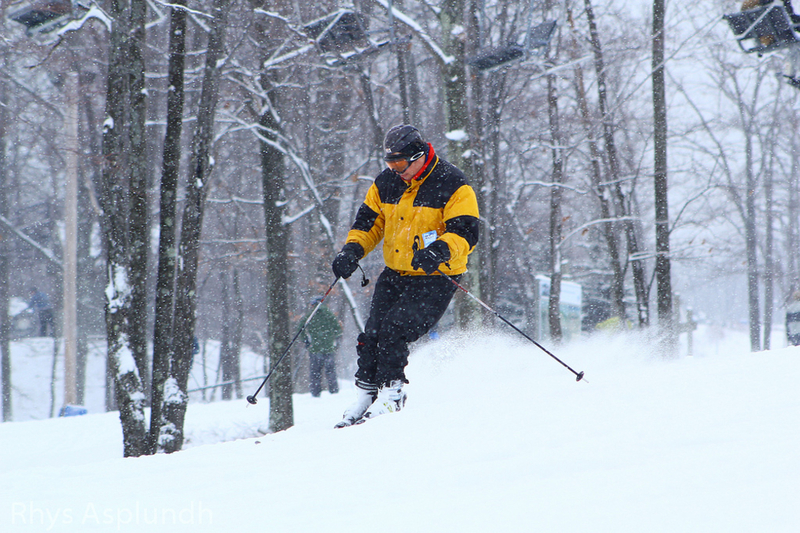 If you'd like to make a weekend out of it, Camelback has great lift ticket deals with a stay at their on-resort hotel. Jack Frost Big Boulder (JFBB) are actually two mountains owned by the same parent company, and offer twice the fun for the price of one lift ticket. Jack Frost is the larger mountain, topping out at 2,000 feet with a vertical drop of 600 feet, with more traditional trails for all skill levels. Its companion mountain Big Boulder is geared towards snowboarders and adventurous skiers, dedicating more than 50 percent of the mountain to terrain parks. JFBB is perfect if you're looking to ski or ride two mountains in one day, with a variety of terrain between the two. 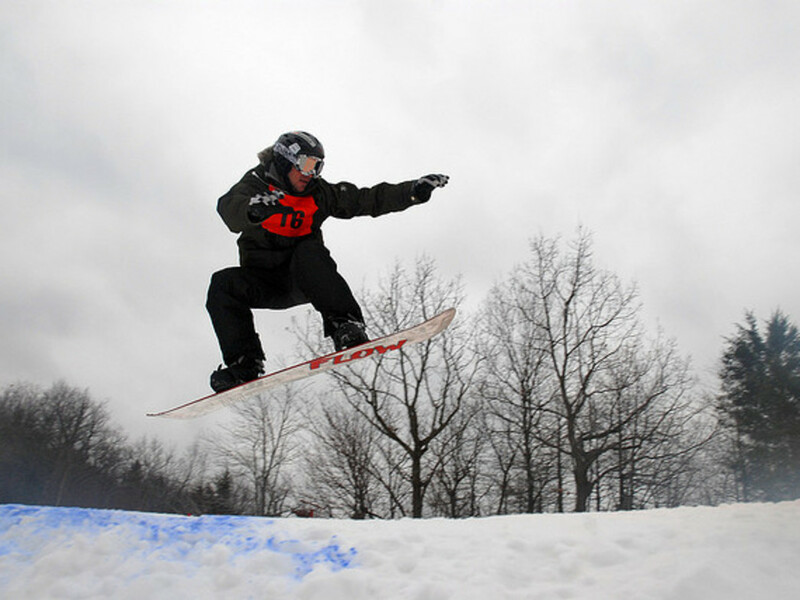 Bear Creek Mountain Resort is the ideal place for a beginner skier or rider to perfect their skills. Though relatively small in stature, Bear Creek is located only 75 minutes outside of Philadelphia in Macungie, PA. While experts will grow tired of the terrain by lunch, beginners revel in the short lift lines and moderate slopes. If you're looking to teach kids to ski or ride, Bear Creek is the perfect, local spot to help them learn.